← Mondo To Release A Limited Edition “La Cinquette” 7-Inch Single With Custom Packaging Designed By Alan Hynes TODAY! A woman altered by a dangerous drug that allows her to use 100% of her brain, transforms into a merciless warrior evolved beyond human logic. Lucy debuts on Blu-ray™ Combo Pack, including Blu-ray™, DVD and Digital HD with UltraViolet™, and On Demand on January 20, 2015 from Universal Pictures Home Entertainment. Lucy will also be available on Digital HD two weeks earlier on January 6, 2015. Also featuring Choi Min-Sik (Oldboy, Lady Vengeance) and Amr Waked (Syriana, “House of Saddam”), Lucy is a “heart-pounding, 100% entertaining” (The Wall Street Journal) thriller that explores the possibility of what one person can truly do when the furthest reaches of the mind are accessed. CEREBRAL CAPACITY – THE TRUE SCIENCE OF LUCY: Morgan Freeman serves as guide for fans to dive into the world of Lucy. 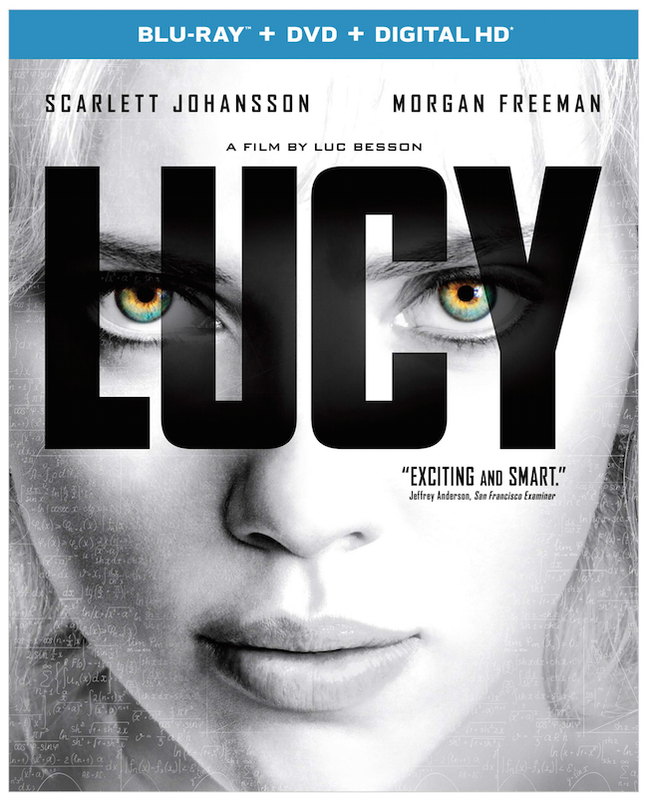 THE EVOLUTION OF LUCY – Follow Lucy’s transformation through the eyes of Scarlett Johansson, Morgan Freeman and Director Luc Besson. CLICK HERE to preorder your copy of “Lucy” from Universal Studios. This entry was posted in DVD/BLU RAY and tagged action adventure, Luc Besson, Lucy, Morgan Freeman, Scarlett Johansson. Bookmark the permalink.